One of my father's favorite sayings was "You learn something new every day." No kidding! There I was, strolling along at the farmers market last Tuesday, when a basket labeled "Ginger" caught my eye. 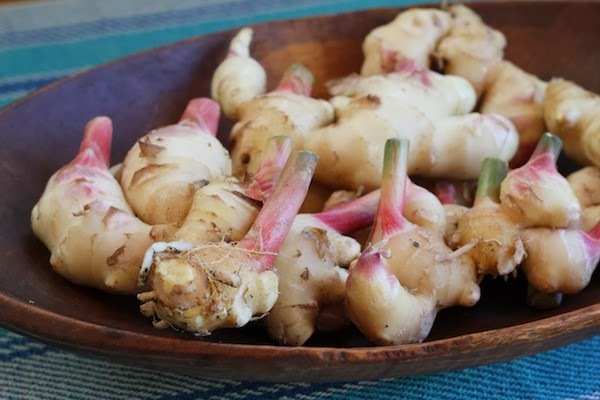 Wait—we can grow ginger? In northern New England? Yes, my friends, we can. I was stunned. I whipped out my checkbook and bought almost the entire basketful. Then I went back three days later and bought more. It was $15 a pound, and I couldn't have been happier to pay that. The ginger you see here was grown by Chas and Linda Gill of Kennebec Flower Farm in Bowdoinham. It's a show-stopper, isn't it? This is baby ginger—not the brown-skinned mature ginger we typically see in the grocery store. Baby ginger has pearly white skin with a soft pink blush, and it's silky smooth. It's tender, not at all fibrous like mature ginger, and it smells divine. You use is just like mature ginger. Chas learned about it from his friends at Old Friends Farm in Amherst, Massachusetts. They have an entire page devoted to their ginger, and it's well worth reading. 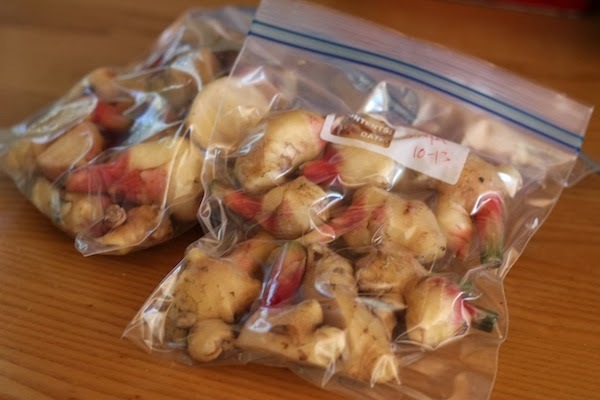 It turns out several Maine farmers are growing ginger now too; you can read all about it, and about how to grow it yourself, here. I'm thrilled. No more grocery-store ginger that involves peeling off a "Grown in China" sticker. (That always made me cringe.) Given how often we use fresh ginger (rhubarb pie, carrot ginger soup, and Indian curries are just a few of our favorites), I consider this a giant step forward in our ongoing effort to "Buy fresh, buy local." Following Chas's advice, I broke my ginger into roughly 1-inch pieces and froze it in ziplock plastic bags. It freezes beautifully, he says; it maintains its flavor well and is a snap to use. "All you have to do is grate it." He says you can also preserve it by submersing it in a Mason jar filled with inexpensive sherry. I think I have enough frozen ginger now to see me through the winter. Hats off to you, Chas and Linda. You guys are great! And now, I have some baking to do. This recipe is adapted ever so slightly from one in The Enchanted Broccoli Forest by Mollie Katzen. Both the cookbook and the recipe are old favorites at our house. I love to make this gingerbread in the fall. Of course, a dollop of fresh whipped cream makes a great addition. In a small saucepan, melt the butter and sauté the grated ginger in it for 3–4 minutes. Remove from heat and set aside. Pour the honey and molasses into a medium-sized mixing bowl and beat them together for 5 minutes. (Hello, new stand mixer! I love you!) Add the butter and ginger and beat until everything is well blended. Then add the yogurt and egg and beat until they're well blended too. 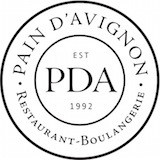 In a large mixing bowl, add all your dry ingredients and sift or whisk them together thoroughly. Make a well in the center of this mixture and pour your wet ingredients into it. Mix thoroughly, but don't overdo it—you just want to be sure everything is well blended. Pour your batter into a greased pan (about 8 x 8 inches or the equivalent) and bake in a 350°F oven for 30 to 35 minutes. The gingerbread is done when the top is firm but still a little springy to the touch, or when a toothpick inserted in the center comes out clean. Serve warm with whipped cream. Very excited by the prospect of growing ginger on Cape Cod. Thanks!